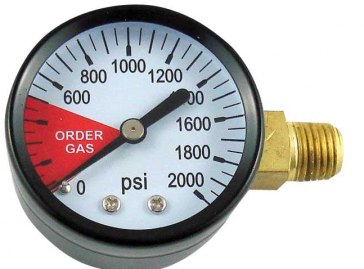 This is a replacement high pressure gauge for your CO2 Regulator. Reads 0 - 2,000 pounds with a right hand threaded connector. Please note: Picture may not represent total pressure of this product or proper thread.